You can compete with all-cash offers. Here’s how. In today’s hot market, bidding wars have become the norm. With many out-of-state buyers and property investors looking for a great deal, all-cash offers are also becoming common. All-cash offer can seem tempting for sellers since it offers the possibility of a faster closing. But despite this perk, cash buyers don’t always win. Many times, they make low offers or demand costly extras, both of which will mean lost cash for the seller. 1. Include a pre-approval letter. Get your financial documents in order, find a mortgage lender and get pre-approved. Additionally, a note from your lender stating that you’re a well-qualified buyer can go a long way. 2. Work with a fast-moving lender. Average closing times vary significantly from lender to lender. Choosing one known for fast transactions shows sellers that you’re willing to move at their pace. Get in touch if you’d like a referral to a trusted lender. 3. Offer more earnest money or a bigger down payment. More money down means you’re serious about purchasing their home, which gives sellers more confidence in your offer. 4. Make an appropriate offer. We’ll discuss local comps to assess the home’s value, allowing you to make a solid bid right off the bat. Low offers are likely to be dismissed without a second glance. Are you planning to purchase a new home soon? Get in touch today to discuss the right strategy for your home search. Hopefully this information will prove to be helpful to you. And remember, we are never to busy for your referrals. 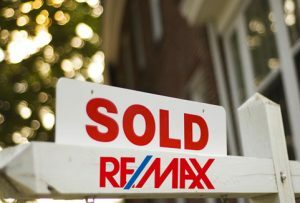 May reflects another HOT month for Houston Real Estate! The Houston Association of Realtors (HAR) reports are in, and Houston real estate sales and rentals continue to outpace last year’s record performance. The greatest sales gains took place among homes priced from $750,000 and above (categorized as the luxury market), followed by homes in the $150,000 to $249,900 range. 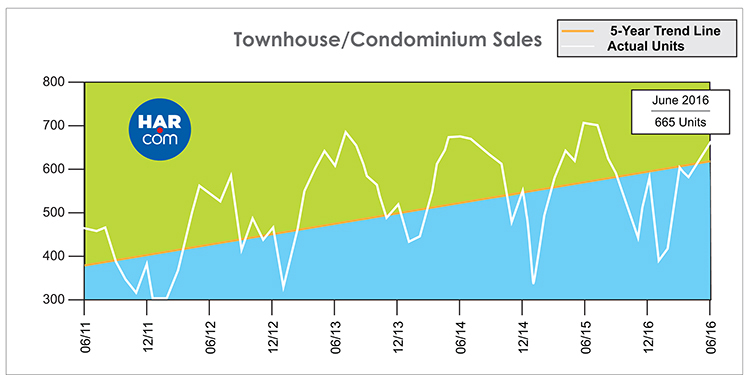 Volume of townhome/condo leases rocketed 46.2% with average rent down 6.7% to $1,565. With the Houston housing market showing another strong month for May, there is no doubt that the second half of 2016 and 2017 will reflect record numbers for Houston real estate! 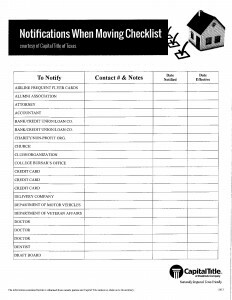 If moving is in your near future, please contact us. THE HOUSTON REAL ESTATE MARKET IT HOT! HOUSTON — (July 13, 2016) — June provided a continued boost to the Houston Real Estate housing inventory as new listings entered the market. 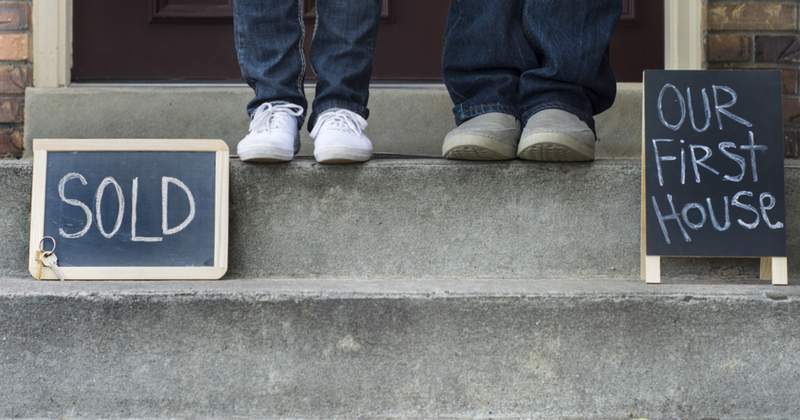 Home sales volume was unchanged year-over-year, but as the local real estate market has seen for the past several months, most of the homes consumers purchased were priced in the $150,000 to $500,000 range. The single-family housing median price—the figure at which half of the homes sold for more and half sold for less—rose 2.5 percent to a record high of $230,538 in June. The average price declined a fractional 0.8 percent in June to $300,178, the second highest level of all time (the highest was $302,599 in June 2015). June sales of all property types in the Houston Real Estate Market totaled 9,139, down 0.9 percent from the same month last year. Total dollar volume for properties sold in June declined 1.7 percent to $2.6 billion. Houston’s monthly housing indicators were mixed in June compared to those from a year earlier, but nevertheless continue to reflect market sustainability. 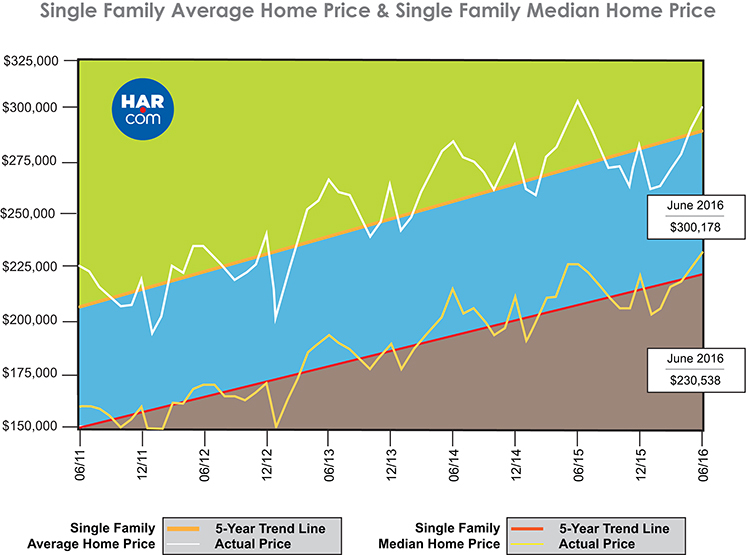 On a year-over-year basis, single-family homes sales were flat, the median price reached a record high while the average price hit the second highest level of all time, total dollar volume declined and inventory grew. The median price rose 2.5 percent to an all-time record high of $230,538. The average price declined 0 cytotec dosage.8 percent to $300,178, second only to last June’s record of $302,599. 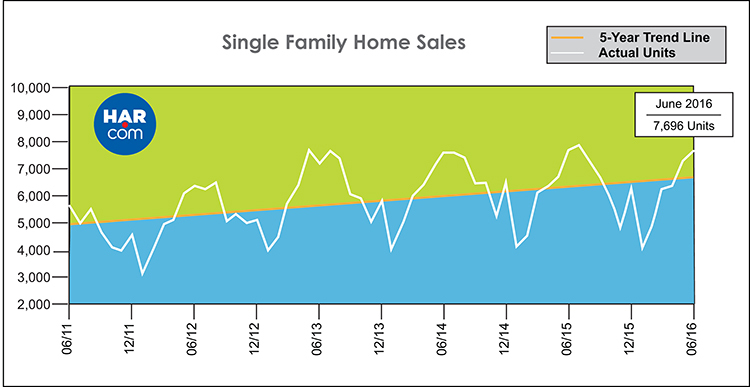 Days on Market (DOM), or the number of days it took the average home to sell, edged up to 51 days versus 45 last year. The computerized Multiple Listing Service of the Houston Association of REALTORS® includes residential properties and new homes listed by 32,000 REALTORS® throughout Harris, Fort Bend and Montgomery counties, as well as parts of Brazoria, Galveston, Waller and Wharton counties. Residential home sales statistics as well as listing information for more than 50,000 properties may be found on the Internet at http://www.har.com. One Story Beauty located in Louetta Lakes, Spring, Texas! You will fall in love the moment you walk in with the high ceilings, updated kitchen open to huge den that offers a wall of windows overlooking the spacious yard. The elegant formal dining makes entertaining a true delight. Terrific study. Split floor plan offers private master suite with rich wood/laminate floors, double sinks and a separate tub and shower. Large private backyard with patio. A new home for sale and A definite MUST TO SEE! Louetta Lakes is located in Spring, Texas, 77388. The neighborhood has approximately 400 homes priced between $170,000 to $325,000. Located just 3 miles from Interstate I-45 allows easy access to The Woodlands, Exxon Mobil, Greenspoint, as well as Downtown Houston look at here now. One of the many highlights in Louetta Lakes is the beautiful lake and lighted fountain surrounded by lush landscaping. Louetta Lakes is part of the Oaks of Devonshire HOA. Ruben & Nancy Villarreal, RE/MAX Integrity, sell real estate in North/Northwest Houston, Spring, The Woodlands, Tomball & Montgomery County. Ruben & Nancy Villarreal and their team provide the ultimate in professional real estate services. Ruben Villarreal is a real estate veteran of more than 25 years and is recognized as one of the top producing RE/MAX agents in Houston. Teaming up with his wife, Nancy, in 1993, they have continued to climb the ladder of success. Not only have Ruben & Nancy structured one of Houston’s #1 award winning RE/MAX teams, but they also own one of Northwest Houston’s premier real estate offices, RE/MAX Integrity. As a team they have surpassed a level of achievement other Realtors only dream of. The team consists of both Ruben & Nancy Villarreal, Ray Humphrey, Dawnya Simmons, Beth Perque, Andree Perque-Ward, Blanca Maeso, Robin Webster, as well as a licensed assistant, Ashley Silvey. This dedicated team works with precision to maintain the professional level of service the feel each of their clients deserve. 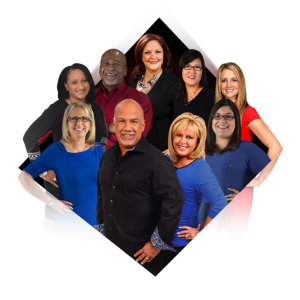 In summation, The Ruben & Nancy Villarreal Team’s success has been found by risk taking and goal setting, combined with customer service, market knowledge, innovative marketing, constant attention to details, and their genuine care for the clients! Specializing in North/Northwest Houston, The Woodlands, Spring, Klein as well as Montgomery County. 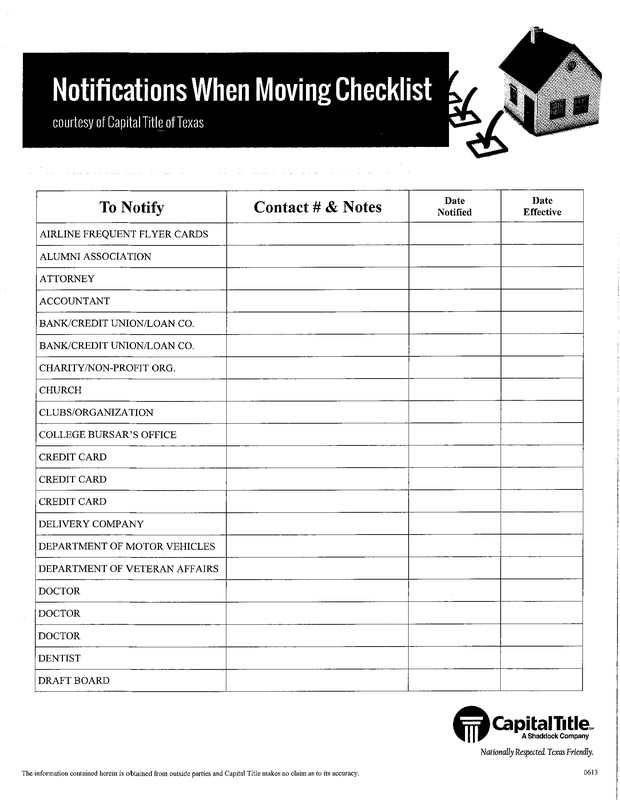 Great “Go-To Checklist” to mark off all the things that you need to transfer when you move! 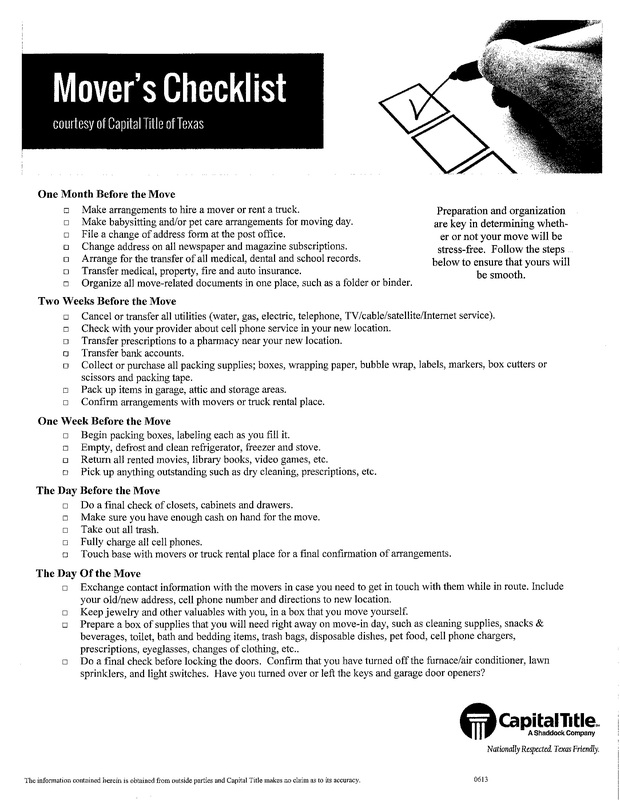 Check out this awesome Mover’s Checklist, given to us by Capital Title of Texas! 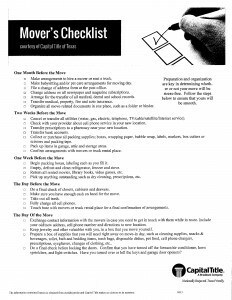 Great tips for anyone who is moving, whether it be purchasing or leasing!